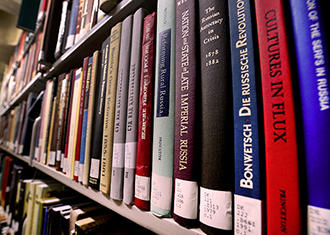 The library specializes in teaching research, information literacy, scholarly communication, copyright, data management, and general library skills. Librarians can visit your classroom in person and online to teach critical research and information literacy skills that are directly relevant to your course. They can support your students through the development of research assignments, online modules, and supplemental online learning tools. Step-by-step guide to tackling a literature review in any discipline. Request an instruction session for more in-depth guidance for your students. Request instructional support from Librarians. Please either describe the project, assignment, or research in which the class will be using the library, or finding and using information, or upload a document with the assignment instructions. Please upload your syllabus to help the librarian learn more about your course and be better prepared to discuss the session with you. Having the details about your course ahead of time will ensure your session is tailored to your course, your students, and your assignments. Check desired topics, and/or add your own. Note: the more topics requested, the more time is necessary. Librarians are happy to visit your class more than once, or develop more than one learning tool. After submitting the request, a librarian will be in contact with you to discuss your needs in more detail. Your session is not confirmed until you are contacted by a librarian. Free workshops and trainings open to all JHU students, faculty and staff, hosted by expert librarians. Helpful guides and tutorials to learn research skills and basic library services. The teaching and learning center supporting instructors in the Krieger School of Arts and Sciences and the Whiting School of Engineering. Professional development programs for graduate students and post-doctoral fellows at Johns Hopkins University. Teaching best practices written by Johns Hopkins faculty and Sheridan Libraries staff. Training and support resources for instructors and teaching assistants. Meet with a librarian to discuss any aspect of your research. Search for a librarian, curator, or archivist to help you with your research.